His shot in the Segunda B came exactly a year later - he would sign for Villarreal's B team in the Tercera in the summer of 2005, but was loaned out to Águilas for the latter half of the 2005-06 season. In the Segunda B, he played nine league games, as well as both legs of the first round of the promotion playoffs (2-1 aggregate loss to Alicante). Nevertheless, his performances attracted the attention of other Segunda B sides, and he moved back to Catalonia, signing for Figueres in 2006. He was a starter under Pep Clotet - however, Pep was sacked after just nine games and in the 10th jornada, under Ernest Calero Fernández, Figueres, with Alberto between the sticks, lost 3-0 at home against Osasuna. He didn't play again that season, becoming second-choice to Carlos Craviotto. At the end of the season, Figueres were literally made to disappear by an investor and had to start all over again in the ninth division, and Alberto García dropped down to the Tercera, signing for Real Murcia's reserves. However, García also made one appearance for the first team, which was also his La Liga debut, as Real Murcia was already relegated. On 17th May 2008, he played all 90 minutes in a 3-5 home loss against Barcelona. García was promoted to the main squad in June 2008, but was mainly used as a backup to Juan Elía. A year later, in 2009, he moved to fellow Segunda club Córdoba. Initially a backup to Raúl Navas, in December 2010 he came on for Navas for the last 37 minutes of a 3-1 defeat at Real Betis, and remained an undisputed starter for the remainder of the season, as well as the following two campaigns. His ambition to become a La Liga player led him to terminate his contract with the Andalusians and signed for four years with Sporting de Gijón in July 2013. However, he was a backup for the entirety of his time at the Asturias club, playing just 16 times in three seasons. Even the fact that Sporting played in La Liga during his third season there was bittersweet for the goalkeeper warming the bench. Therefore, he dropped down a division, signing for Getafe in the Segunda in July 2016 for two years, and becoming a first team player at the club as they were promoted to the first division. 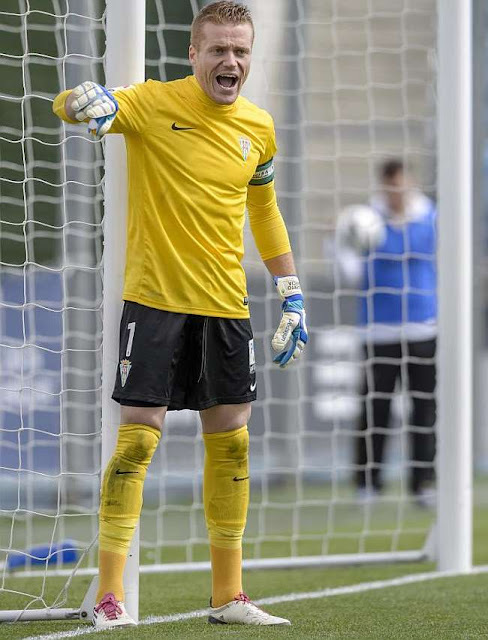 However, for the final four league fixtures, as well as the promotion playoffs, he lost his first-choice status to Vicente Guaita, and therefore decided to join Rayo on loan. 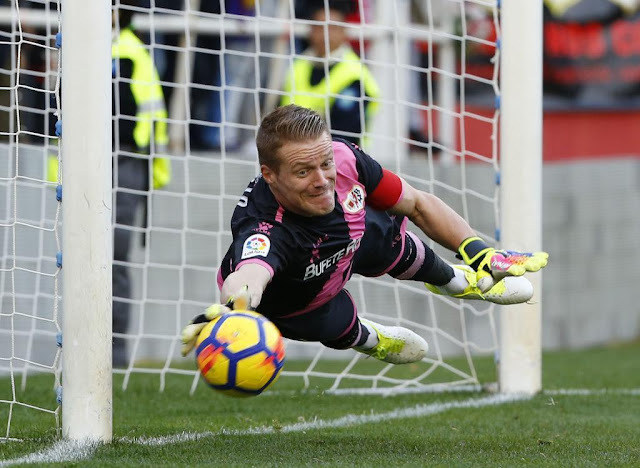 He chose to be a Segunda starter rather than a La Liga spectator. And it has paid off - with Toño injured, he has kept Mario Hernández largely out of the squad. And Mario's injuries have helped Alberto too - his competition currently is Columbian cantera goalkeeper, and U-20 international, Luis "Lucho" García. At nearly 33, Alberto is what is traditionally the peak of his career - but he hasn't always played for much of it. The season at Real Murcia and the three seasons at Sporting Gijón come to mind, where he served as a more-than-capable backup. But those times are sandwiched between two Madrid-based clubs named Rayo, who gave him a clear shot and helped him advance his career.